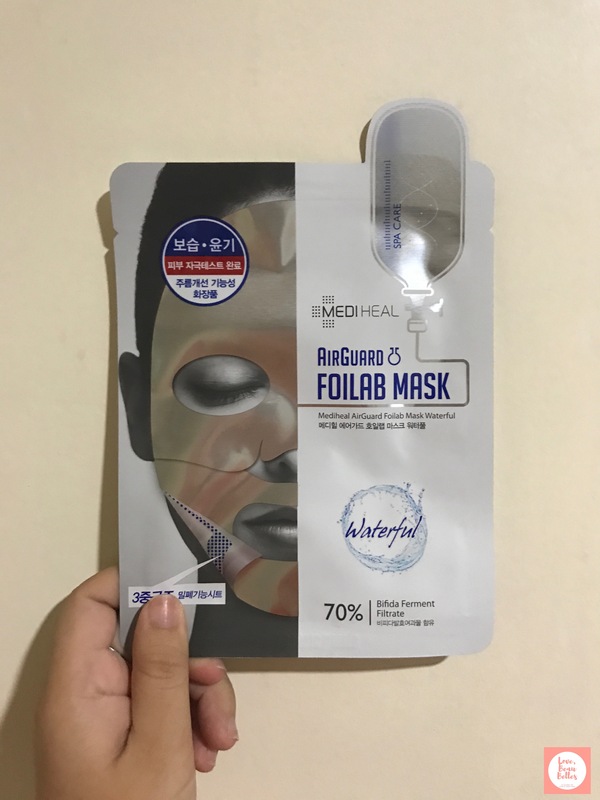 Packaging: The packaging is very straight to the point, even showing a picture of someone using the face mask so you would immediately know what the mask would look like. It has a very professional and clean look, because it makes you feel like the product really has medical and healing properties. I think that’s especially important for skincare products more than makeup which can get away with cute and flashy packaging. This product is made in Korea so most of the text are in Korean, although there are some English translations such as the ingredients and instructions. 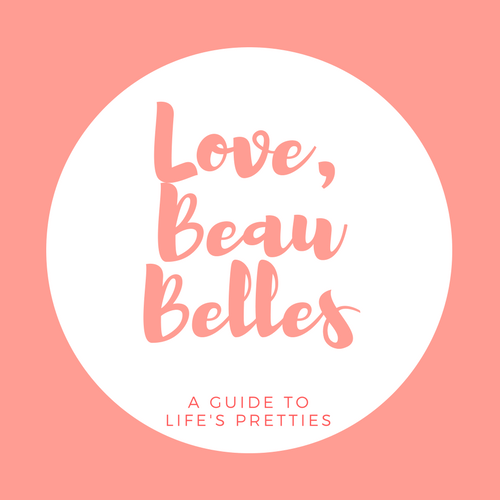 Despite my unfamiliarity with the brand, the packaging is able to give me the feeling that I’d be able to trust the brand and that it’s effective in addressing my skin needs. Texture: The mask felt sticky on my face but not exactly in a good way. It didn’t have a cooling effect, and actually felt hot on my face. 😦 I didn’t expect it to feel that way since I had really high hopes for the product. I had thought at first that I probably had a reaction to the mask, but after 5 minutes in, my skin didn’t feel stingy at all – just hot! – so I decided to still keep it on until the 20 minute mark. The feeling didn’t really change throughout the 20 minutes I had it on, and I eventually felt more comfortable with the hot feeling on the face. Application: The sheet mask actually comes in 2 parts — one for the upper part of the face, and one for the lower. What’s important is that you have to make sure to keep the shiny, foil part on top. I felt like Ironman while I had the mask on which was pretty cool. 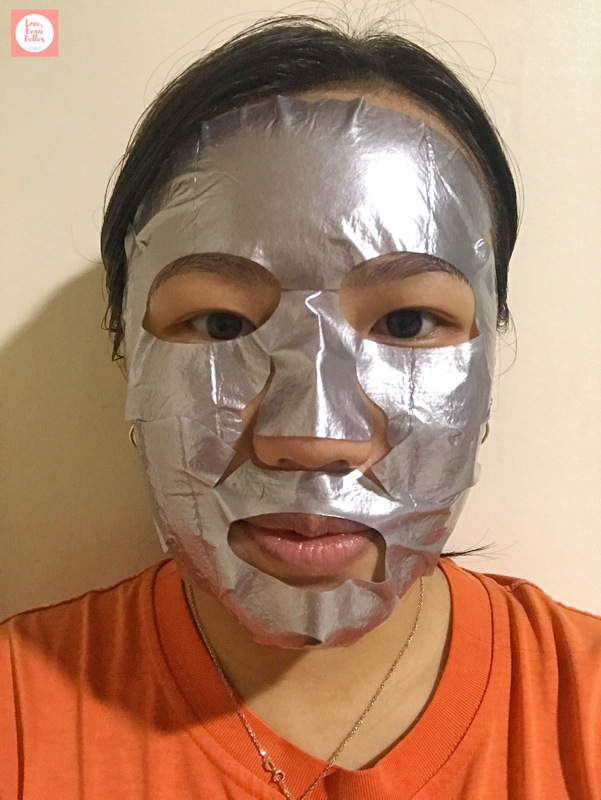 I didn’t like the fit of the mask on my face, although it’s very rare that I do find a sheet mask that’s a perfect fit, so I’ll let that pass. I left the mask on for about 20 minutes. When I took off the mask, my skin felt a bit sticky, when I wanted it to feel dewy. 😦 It’s not as “waterful” as the name suggests! It did make my skin feel a lot smoother afterwards, but I just wasn’t a fan of the sticky feeling on my face. Value for Money: The product is pretty pricey compared to usual sheet masks I buy, but I feel like it’s not just worth it. 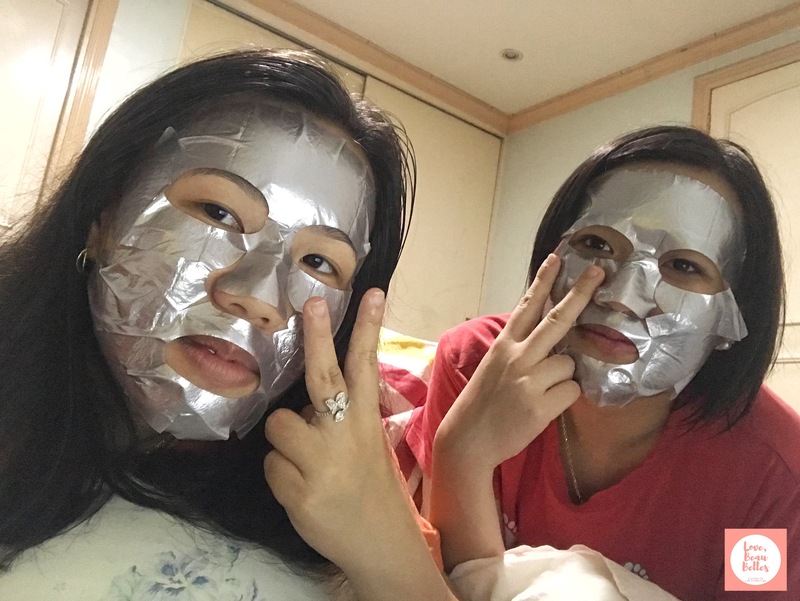 It’s almost P200 and with that amount of money, I’d be able to buy 2 sheet masks from a different brand that can deliver the same quality. Verdict: The product description promises wrinkle care, hydration, brightening, and a spa treatment at home. It even talks about pearl powder that can give your skin an instant glow. I didn’t exactly feel any of these, but the product does its job like any other sheet mask. It’s really nothing special so I’m not raving about it as much as I had hoped to. I feel like the face mask promised so many things and even packaged itself into something very flashy and unique, but ended up just like any other regular sheet mask. It’s also priced way higher than others, so I really don’t think I’ll be repurchasing this one since I can just settle for regular masks that give the same effect but are way cheaper!